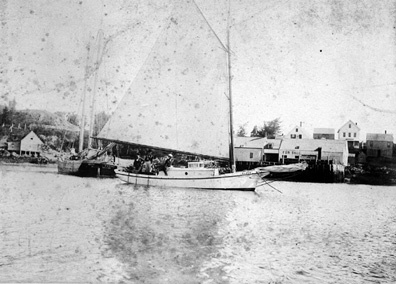 The sloop yacht Eagle at North Haven, Maine. Behind the sloop is the schooner Greyhound of North Haven. 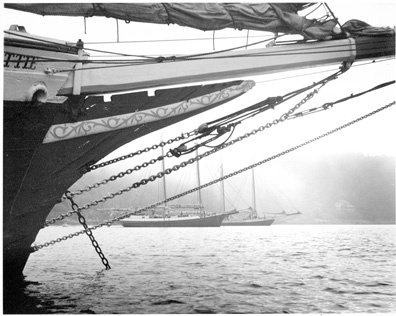 Windjammer schooner Mattie at anchor in Bucks Harbor on a foggy morning. Two other schooners in the windjammer fleet are in the distance. 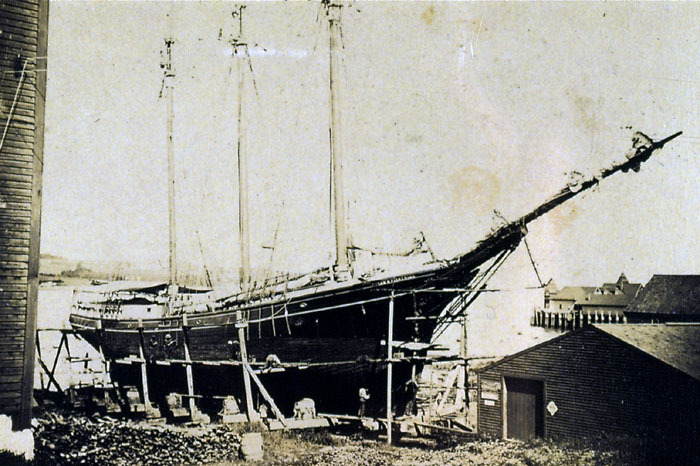 This view of the three-masted schooner Susan N. Pickering shows the vessel on the marine railway, hauled out for maintenance. 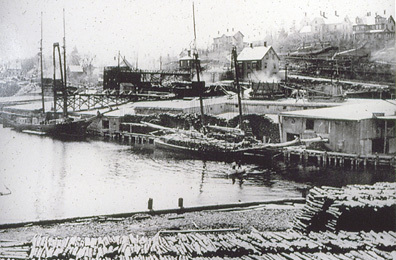 Belfast's Cottrell yard built the Pickering in 1882, and that is where she is hauled. 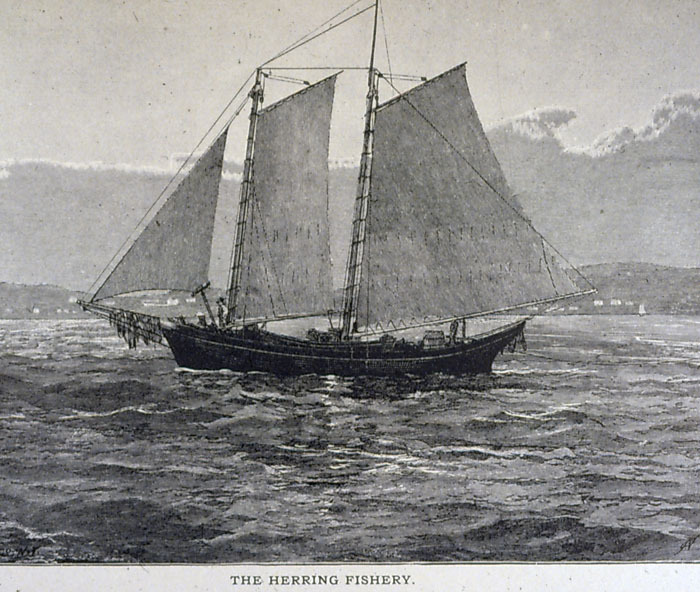 She was registered to Deer Isle, measured 319 tons, 135' long, and owned by the Pickering family. 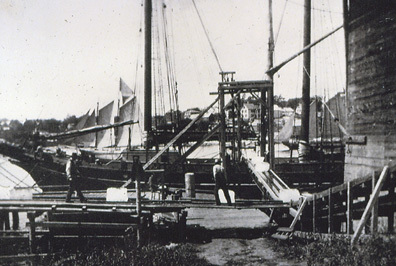 The schooner Mabel was the first vessel in the Camden windjammer fleet. 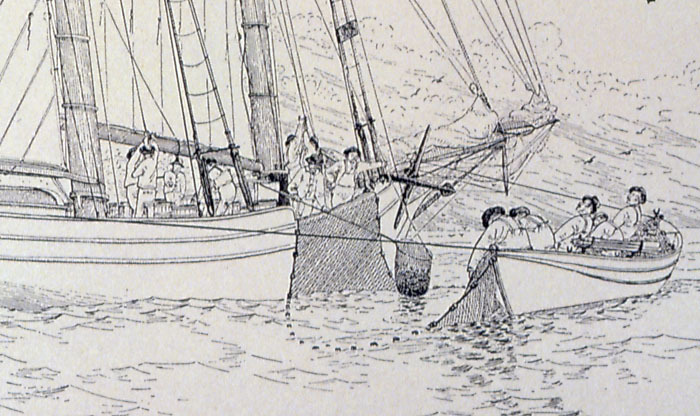 Captain Frank Swift had the idea that he could keep schooner sailing alive by taking passengers. He chartered Mabel in 1936 from Captain William Sherwood of Deer Isle who went as captain, with his wife as cook. The first passengers were three ladies from Boston. 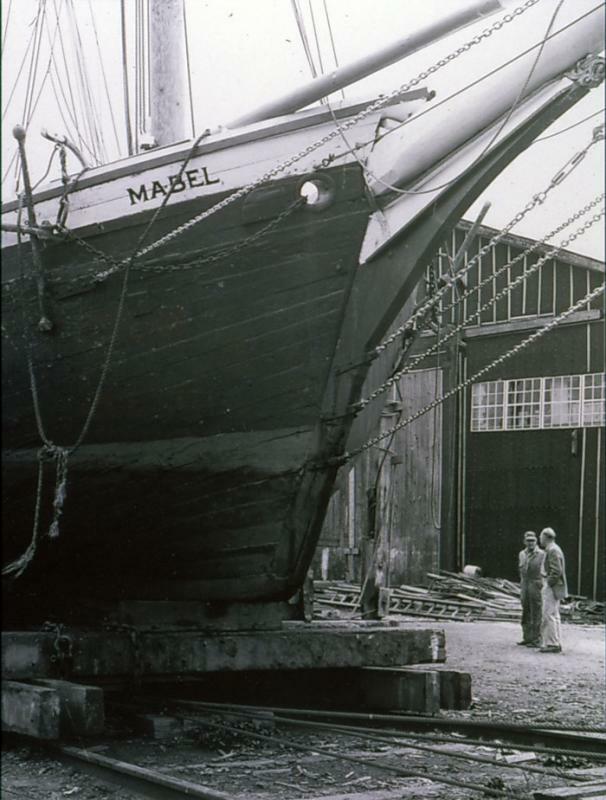 Mabel had been built in 1881 in Milbridge, Maine, and was working hauling pulp wood and other general cargo around Penobscot Bay. Here, the schooner is hauled out in Deer Isle for maintenance. 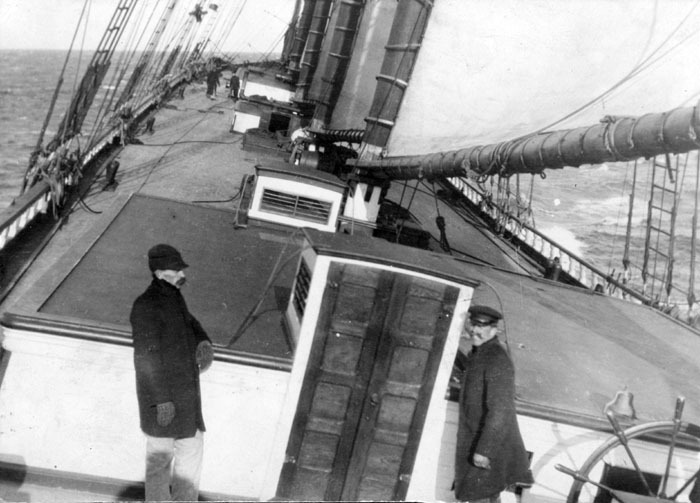 Unidentified four-masted schooner sailing on the port tack. Note how few people are on deck. The vessel could be carrying coal.